For that feminine travel candle, pretty blush palette, the latest sunglasses, and rose-tinted lingerie, Mother’s Day is a great reason to spoil yourself or that woman you call mum. Editor Trudi Brewer shares here luxe list. If you’re stuck for what to gift your mum this Mother’s Day follow Trudi’s Edit for some weekly updates on beautiful gift ideas. The gift of a luxe-y night cream stacked with softening cotton and rice extracts, aloe and honey soothes stressed skin and boosts hydration levels. It’s the ideal cream for the woman who’s skin needs a little extra TLC. Wacoal Lace Perfection bralette $95 and Wacoal Lace Perfection brief, $55 in rose mint. You don’t need an occasion to spoil yourself with a new set of luxurious lingerie, but if Mother’s Day helps you justify the purchase - go for it. Nars Exposed Cheek Palette, $99. This limited edition cheek palette comes in six universally flattering colours. Formulated with a 'colour clarity complex' this innovative allows you to blend the pure colour pigments, wet or dry to create a bespoke colour to suit any makeup mood. Kenzo World Eau de Toilette, 30ml $91. It's a rosy floral scent but we think it smells more like freshly washed linen, thanks to the pear, peony, almond blossom, and iris blend. Dressed in a fresh shade of pink this pretty bottle is begging to be gifted this Mother's Day. 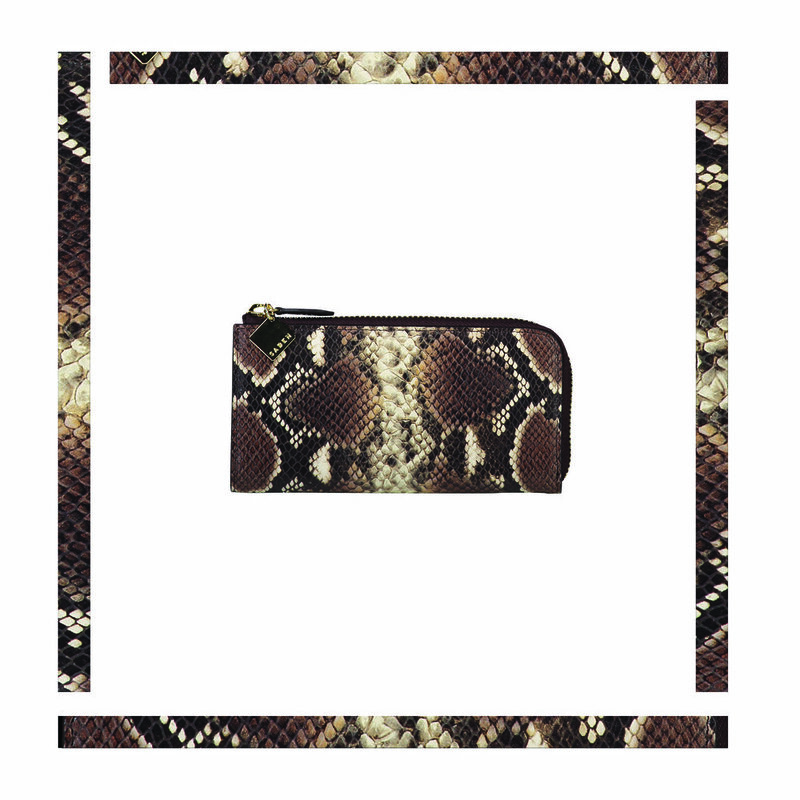 Saben Zoey Cocoa Python Wallet, $229. Sleek, and sophisticated this wallet holds everything you need for a night out. The zip coin pocket, two bill drop slots and eight card slots, we can also fit a smartphone and a lippy in it as well - we think that is a win, win. ECOYA Peach Blossom & Rosewood Maisy Jar, $35. Light up your Mother's Day with this gorgeous candle to scent any room in your home. A blend of sweet peach blossom, cherry, tuberose, lily of the valley, and musky rosewood. It suits anyone who loves a feminine, fruity fragrance. Tangle Teezer Fine & Fragile, $24. With the same detangling power as the original, this new brush from the famous beauty brand Tangle Teezer is designed to groom fine, fragile hair and prevent breakage. With softer teeth (that are kind on the scalp) you can be assured your hair will not shed or snap. This brush hits stores 15 April. The blend of organic brown rice powder, Moroccan clay, organic flower petals, mixed with heavenly scented rose essential oil creates the most indulgent facial scrub. Not only do we love the glow it gives our skin, but we also adore the glass bottle. Karen Walker Checkmate Crystal Madder sunglasses, $315. We never need an excuse to update our sunglass collection, and these new rose-tinted glasses from New Zealand designer darling KW are at the top of our wish list. Also these frames can be fitted with prescription lenses as well.